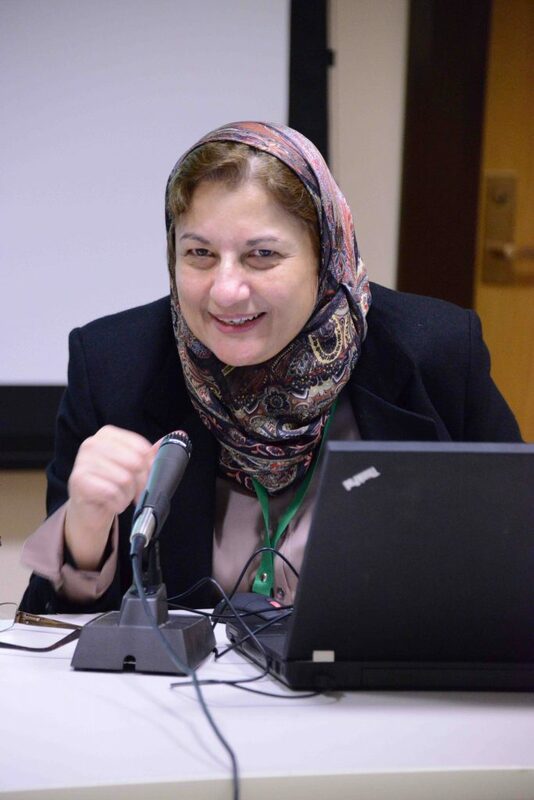 Nesreen Ghaddar is Professor of Mechanical Engineering and Director Munib and Angela Masri Institute at the American University of Beirut, Lebanon. Last year, she participated at two regional events organized by MERID, in Barcelona and Beirut. As a professor and scientist with direct experience in the field of scientific exchanges between countries, we asked her to share with us her ideas, hopes and criticism about the state of science diplomacy. – According to the current situation, which are, in your opinion, the most significant difficulties that science diplomacy faces? Could these difficulties be considered actual limits for science diplomacy? The most common issues are related to travel and visa limitations, difficulties to access funding opportunities and scholarships, difficulties to work and study abroad, struggles to have skills and competence recognized. You can also add language barriers. Much of the achieved work never gets translated to Arabic and therefore struggles to reach those who could benefit from the project outcomes. To achieve better results, to have higher impact, it would be important to have much of the results available in several languages, including Arabic. – How do governments and universities relate to science diplomacy projects? Collaborative projects on science with relevance to Europe and MENA need additional support from MENA governments, who actually do not all use the outcomes of the project or involve talent in development of their solutions and policies. Unfortunately, corruption level is high and performance appreciation is always lacking. There are no language barriers between scientists from Europe or MENA, since all can communicate the technical language. But Universities have different approaches about systems and support to research. – How do you value events like the MERID regional conferences? Do they bring a contribution to build bridges between scientists and stakeholders? Universities are great place to engage in this endeavor and conferences like the MERID regional events are a venue for our scientific and professional community to engage and foster dialogue between scientists, professionals and developers of standards and policies, in order to involve young people and professionals in developing and implementing solutions for sustainable future. In May 2016, I participated at the MERID regional event that was held in Barcelona. I was one of the speakers in the panel about “Energy and Water: Key Societal Challenges and Key Opportunities for Cooperation in Science, Technology and Innovation”. This is when I realized the importance of the work we do with our EU partner researchers. We spoke about the effect of global warming and migration of people from intolerable hot climates to cooler climates of Europe, the lack of decent work opportunities for young people that displaces them to find jobs elsewhere in addition to political instability. – Do you think that science diplomacy could have a proactive role for the topics of instability and migration? EU funded projects have enabled scientists from Europe and the Middle East to work together, break barriers of mistrust, improve understanding the level of research skills people of the MENA region have, and how to find common grounds for joint projects and learn from each other. When projects target not only the scientific objectives, but also the social and business aspects, then development takes place. In particular, the involvement of women in these projects is essential, because of lack of role models of women in science that can influence young generation of women to move forward and work towards successful careers. EU calls for research could play an important role in addressing the topics of instability and migration: scientists could be able to offer innovative solutions both relevant to the topic and targeting youth involvement. When both scientists and social scientists are able to work together, this kind of interdisciplinary research provides impactful solutions. Since 2015, MERID project has been working to contribute to the development of science diplomacy, with a particular focus on the Middle East region, through the organization of webinars, regional events, dissemination of information, etc.., mainly addressing the issues of brain circulation and science diasporas. MERID project includes 13 partners from 13 European and Middle East countries, coordinated by Euro-Mediterranean University EMUNI. Follow MERID activities on Facebook and Twitter!